Justin Bieber wants something more long-term. The pop star — a prolific and some might say notorious renter — paid $8.5 million for a 6,130-square-foot pad in Beverly Hills. It’s the same area where residents once tried to ban him from renting. Located off Benedict Canyon Drive, the modern home has five bedrooms, seven bathrooms, a screening room, an Art Deco bar and infinity swimming pool. Greg Hebner, managing director of Arixa Capital, was the seller. Bieber, who turned 25 this month, recently married model Hailey Baldwin. In the Hollywood Hills, an 18-acre undeveloped property with ties to former First Lady Betty Ford is up for grabs for $30 million. The parcel was created by merging two separate properties — one of which was owned by the former first lady, the other by violinist Israel Baker. The current owner and now seller is Behzad Forat, a Studio City businessman. Forat initially planned a multifamily complex on site, though marketing materials now suggest a single-family mansion could be built. The former home of baseball star Barry Bonds traded for the third time in five years. The 17,000-square-foot Beverly Park home sits on nearly two acres, and had been on the market for $33 million since August. Chinese metals tycoon Diana Chen bought the pad for $23 million. The sellers, Luo and Ruixie Huang, paid $26.5 million for the property in 2016. Built in 1999, the home has seven bedrooms and 10.5 bathrooms, a four-car garage and a theater. Roughly one month after his engagement to Katy Perry, actor Orlando Bloom is looking to part with his bachelor pad. 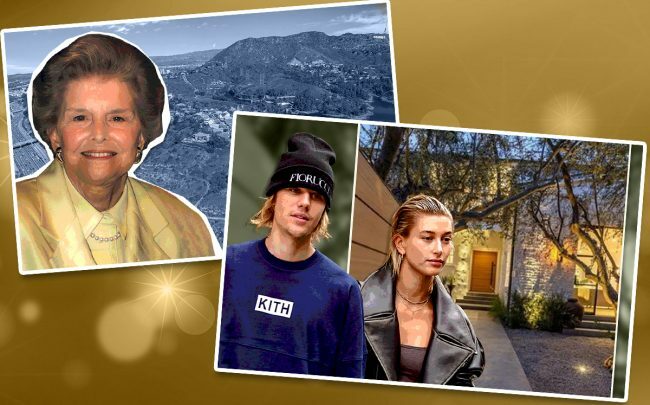 Bloom listed his 4,000-square-foot estate in Beverly Hills for $9 million. The home includes four bedrooms and four bathrooms. Before Bloom bought the estate for $7 million two years ago, it was the first residential property to be redesigned by resort architect Miguel Angel Aragones. The “Pirates of the Caribbean” actor also added his own touch, incorporating a zero-edge swimming pool and Ipe wood decking.